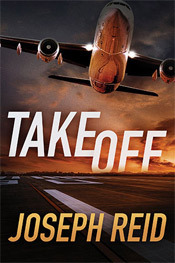 Amazon has announced that TAKEOFF is on sale for the whole month of October! Just $10.99 for the hardcover, or $1.99 for the e-book. If you’ve been thinking about giving TAKEOFF a try, now would be a great time to do it. Even better, if you happen to buy the hardcover, remember that I’d love to sign it as a holiday treat. What better way to get all your holiday shopping done early than to buy books on sale and get them signed by the author?